This is a pattern that Hoare used solely for silver mounted glass. I sold this pitcher in the same pattern (on both the silver and glass). This piece along with a whole suite is featured in the Gorham catalog reprint by the ACGA. The pattern begins with a band of cane. This cane frames some hobstars draped in combination with crosshatched panels and clear block panels with fans. The crosshatched portions each have two deep miters cut from the sides through the crosshatching. 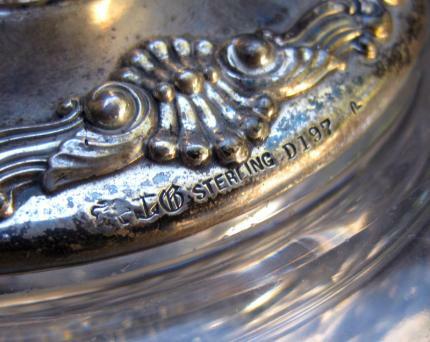 This portion of the pattern makes up both the top and bottom of the pitcher. Separating that part of the pattern is an extremely sharp cluster cutting featuring sections of six hobstars each. It’s really a stunning design, with beautiful silver. 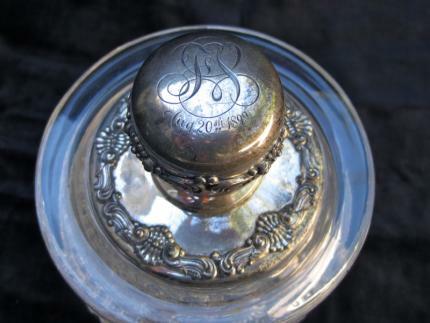 The silver is monogrammed “FS” with the date August 20th, 1899. The jar is in perfec condition as is the silver. 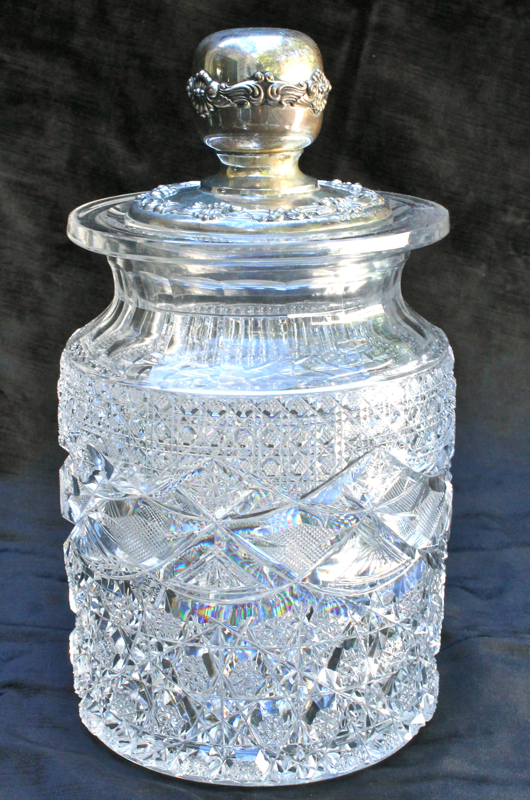 This is a true rarity and a piece that will always be desirable because of the combination of great glass and matched silver!